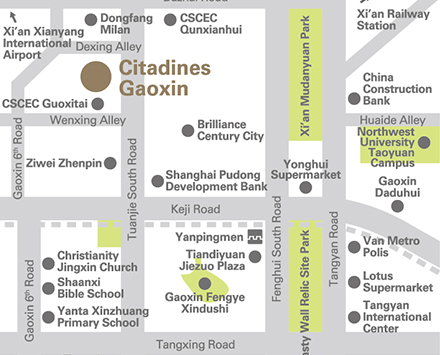 Citadines Gaoxin Xi’an is located at the junction of Keji Road and Tuanjie South Road in Hi-Tech Industries Development Zone. 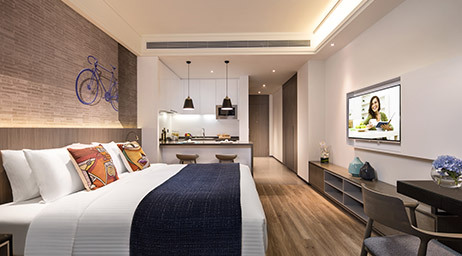 The serviced residence offers a modern urban apart’ hotel that is surrounded by high grade residence, office buildings and retail shops. The metro station (line 3) is a 10-minute walk, and a 40-minute drive will bring you to Xi’an-Xianyang International Airport or Xi’an Railway Station. 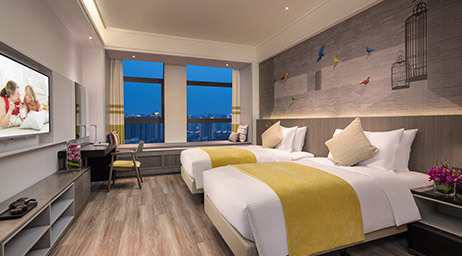 It is also situated strategically such that it is a 30-minute drive to Bell Tower, Drum Tower, Muslim Street and Qujiang Tourism Culture Scenic Area. 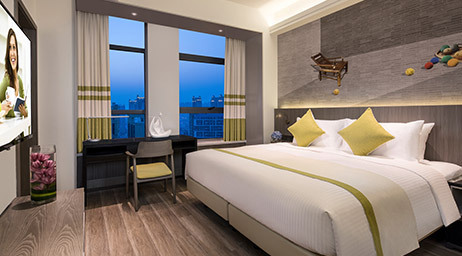 Citadines Gaoxin provides the necessary for a business traveller, and assist guests to discover and enjoy the charm of this ancient city. Ranging from studios to two-bedroom units, the 143-apartment has spacious layout to allow room for both living and a home office. 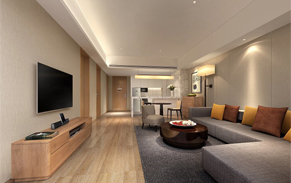 All apartments are fully furnished with modern amenities, including a home entertainment system, ensuite bathroom, split air-conditioning, and broadband and wireless internet access. Selected residences have fully-equipped kitchen and a washing machine & dryer. Your privacy and safety is also ensured with 24-hour security and guest services. Freshen yourself in our fully equipped fitness center, steam and sauna or yoga rooms. Utilize our wireless internet access, meeting room and residents' lounge for business tasks. 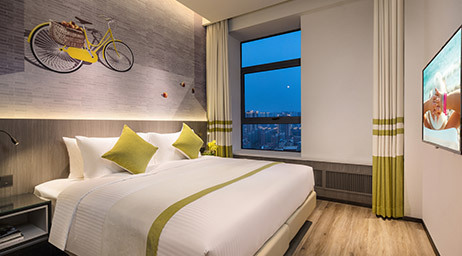 Citadines Gaoxin Xi'an will always ensure you have a relaxing time during your stay. A flexible service menu is also available for you to select optional services to suit your busy lifestyle and budget. These services include daily breakfast, daily housekeeping service, laundry and dry cleaning, and grocery shopping services.